A man stands at the back of an International Metro truck with a basket of bread. 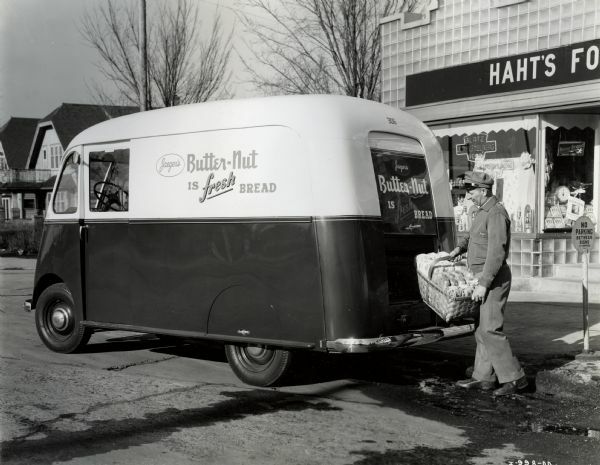 The truck includes the text: "Jaeger's / Butter-Nut is fresh bread". "Haht's" food(?) store is behind on the right and houses are on the left. Near the man is a "No Parking" sign.